Every toddler should be weighed from the age of two to help tackle the obesity crisis, experts say. Children are currently weighed when they start primary school at the age of four and when they leave aged 11. But figures suggest that may be too late – with more than a fifth of children already overweight at their first measurement. 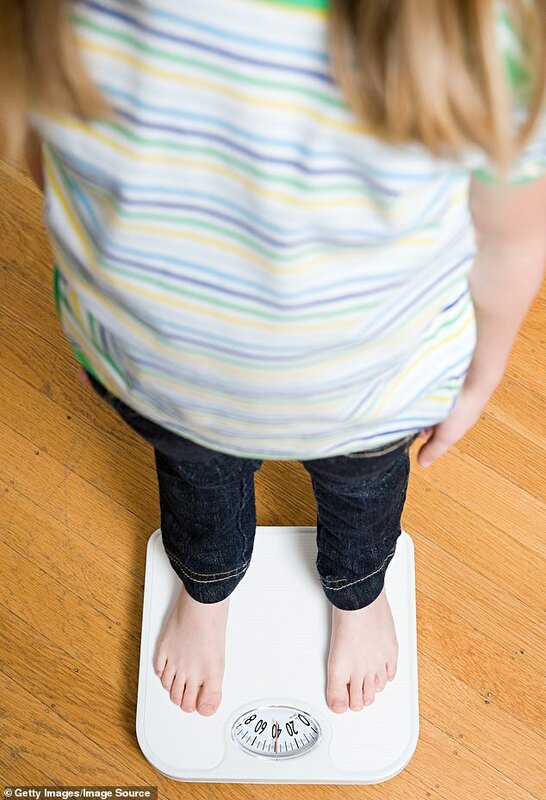 Experts from the universities of Oxford and Manchester say children should be weighed at two when there is still time to intervene. And they should then be weighed every year to make sure they don’t slip through the net. Nearly half a million under-11s in the UK are obese, a problem which experts fear will create a boom in heart disease, diabetes and cancer in the future. Many parents do not accept their child has a problem – and those who do think they will ‘grow out of it’. The academics today publish a study which reveals adult obesity can be predicted in children who are just a few years old. Study leader Dr Heather Robinson, of the University of Manchester, said: ‘The evidence suggests that children should be weighed and measured every year from at least the age of two. ‘We can tell different patterns of child growth apart from as early as two to five years, but only if we measure children regularly. The study, published in the journal Preventive Medicine Reports, used data from 750,000 children worldwide to establish typical patterns of growth. They found that a child’s weight before they started school was highly predictive of their weight later in life – with fat toddlers likely to become fat adults. Less than a fifth of children in the UK, United States and Australia since 2000 have gone on to become obese if they were of a normal or low weight between the ages of three and five, the researchers found. And these ‘late increasing children’ – the 19 per cent who slip through the net because they are not overweight at age four – could be spotted later if checks were made more regularly, they said. Dr Robinson said: ‘Adult BMI [body mass index] starts to be predictable from child growth patterns from as early as age two in some children, so we should be measuring them from that age. ‘However, as most measurement programmes are linked to schools as a way of accessing large groups of children, we can still achieve much by making the most of these observations between four and 11. Tam Fry, chairman of the National Obesity Forum, said ‘millions of children have suffered from inaction’ because the UK did not measure children regularly. He added: ‘The National Child Measurement Programme should be extended to cover every year of a child’s growing years to identify the first signs of excess weight developing, and programmes to ensure they are not left to get fatter put in place.